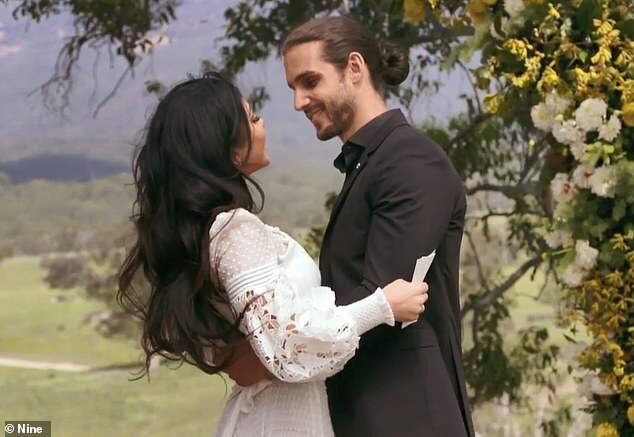 Married At First Sight's Michael Brunelli agreed to move to Sydney to be with his 'wife' Martha Kalifatidis, during their final vows ceremony on Monday. Throughout the experiment, Bondi makeup artist Martha, 30, shared her concerns about living in different states and on Monday, Michael vowed to relocate from Melbourne. 'I am willing to give up everything I have, to relocate for you,' said Melbourne primary school teacher Michael, 27. 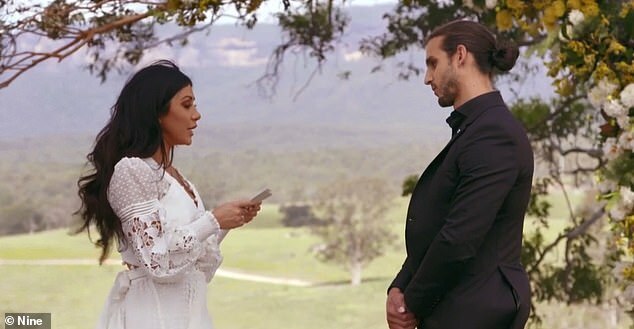 During the countryside ceremony, Martha was first to read her vows. 'In so many ways, you're my polar opposite - and it's this exact reason why I think that's why we make such a great match,' gushed Martha.